Blake Colin Lewis is an American Singer, songwriter and beatboxer born on July 21, 1981, in Redmond, Washington. Lewis is the only son of Dallas and Dinah Lewis. He attended the Kenmore Junior High school and later Inglemoor High School in Kenmore, Washington. In high school, Lewis actively participated in school musicals, amateur comedy and rap videos with his friends, and state competitions. At age 17, Lewis got into beatboxing, a talent he picked up purely by ear, listening to CDs of beatboxing, after being inspired by Matthew Shelby a former member of the Los Angeles based a cappella group, M-Pact. Along with singing and beatboxing, Lewis plays guitar, keyboards, drums and has written many songs. He was a member of the cappella group Kickshaw for four years after graduation from high school in 1999, and worked with the group on a 10 track album titled, “Put It In the Microphone.” However, Lewis quit the group in 2002 to become a solo musician by the stage name Bshorty. While performing regularly in a variety of venues in Seattle, Lewis managed to make connection with various musicians. Before entering “American Idol,” Lewis was working on a solo album with a number of tracks completed. Despite the fact that Lewis initially found “American Idol” unappealing, he went ahead and auditioned for the show in Seattle, performing the song “Crazy” by Seal and an off-screen rendition of “Sunday Morning” by Maroon 5. He introduced himself as the local beatboxing champion in the audition, and beatboxed along with his team mated to “How Deep Is Your Love” by Bee Gees in the Hollywood’s Week. The performance received a standing ovation from the audience and Paula Abdul who is part of the panel of judges. After the judges predicted Lewis’ ‘first runner’ status early in the competition, he ended up being the last male contestant standing. 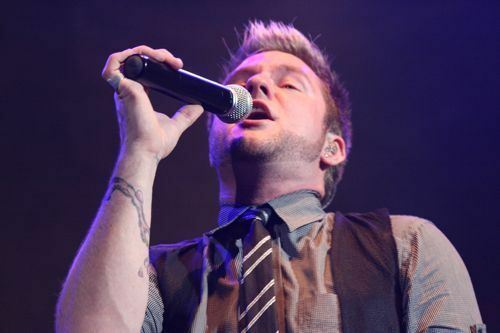 He later became the first contestant from Washington to compete in the American Idol finale. After the American Idol Finale, Lewis has made many television appearances and performances. Lewis has been listed as number 5 in the list of the 10 sexiest Idol contestants ever, on the website during the running of the sixth season, and was ranked number 21 in the list of music’s 21 sexiest single men, on June 11, 2007, on AOL.com. On June 15, 2007, he appeared on the People Magazine list of Hottest Bachelors of 2007. Lewis parted with his label Arista Records in June, 2008 after releasing his first studio album in December 2007. On April 30, 2009, Lewis performed at the 2009 Congressional Clubs’ First Lady’s Luncheon to honour Michelle Obama. His sophomore album, “Heartbreak on Vinyl” was released on October 6 of this year.